He urged local authorities to publish exactly what information they gather from cameras, while also suggesting they scale back their use of CCTV. 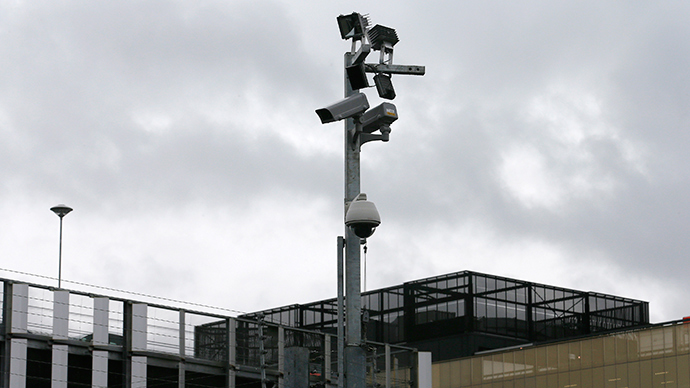 Britain has one of the highest total number of CCTV cameras in the world. The British Security Industry Association (BSIA) estimated there are 5 million CCTV cameras in the UK in September 2013, with the average person being recorded by about 70 cameras each day. Porter issued his damning criticism of CCTV amid claims that surveillance cameras fail to deter crime. Speaking on BBC Radio 5 Live, he said there are too many “useless” cameras in the UK. “There is a local authority actually in the West Midlands that did a local review and was able to reduce the cameras that were ineffective and useless to the tune of a quarter of a million,” he said. Porter called for a public debate and greater regulation to ensure the number of cameras doesn’t spiral out of control. “We have millions of cameras in this country and Europeans look at us askance, to be perfectly honest, and are surprised that our society actually accepts the volume of surveillance cameras that we do,” he said. In a reference to new technology, Porter warned that the British public is in the dark about the true extent of CCTV use. “Do they have a true and informed understanding of the current nature of surveillance? I don't think they do,” he said. Speaking to The Guardian earlier this month, Porter spoke about advancing technology that is able to predict individuals’ behavior using CCTV footage. He also cautioned against the rise of body worn video (BWV) and drones with cameras attached. “I'm not a Luddite. Where technology exists and comes to the fore, it can support law enforcement and protect society. That's a good thing,” he told the BBC. Porter’s damning critique comes as Dyfed-Powys police in Wales announced they would cut funding to CCTV following an independent report which found cameras did little to deter crime. Several other councils in the UK have cut their CCTV budgets, as austerity policies have forced them to question the technology’s effectiveness. Cornwall cut their CCTV budget in April 2011, while Denbighshire council in North Wales is set to reduce their surveillance budget by £200,000. Porter replaced Andrew Rennison as Surveillance Camera Commissioner in March 2014. The independent role works with the Home Office to regulate use of CCTV. During his time in the post, Rennison was equally outspoken about the dangers of the technology, cautioning in October 2012 that high-definition cameras capable of recognizing faces half a mile away risked turning Britain into a “Big Brother” state. Charles Farrier, a spokesperson for campaign group No CCTV, is critical of Porter's comments. "Much of the media has reported on Tony Porter's comments as though he is suggesting somehow that CCTV should be cut – in fact the opposite is true," he said. "What Porter is seeking is a restructuring and an upgrading of the surveillance camera network in the UK and a transfer of control to the private sector." "Along the way he wants to use the government's new cod philosophy of “surveillance by consent” which is really about asking people to place enormous faith in the faceless watchers and not trouble themselves with thorny issues like whether the excessive use of blanket surveillance is damaging our communities by increasing fear and decreasing people's trust of each other," Farrier added. "Porter's grand title, “Surveillance Camera Commissioner”, means that most people believe he is there to keep the spread of cameras held in check – but this is simply not the case, he is the surveillance industry's man on the inside and if we leave protection of our freedoms to him we will have no hope of waking from our sleepwalk into the surveillance state that has already been created around us."